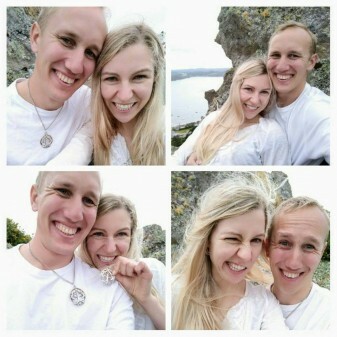 “I’m so excited and blessed to be engaged to the amazing and gorgeous Sarah Edwards! After a picnic at the top of Mt Aubrey I asked her to marry me and she said yes! We don’t have a ring yet but I was able to present her with one of the family tree medallions instead. Dont ya just love love? So happy for you all ! Rich blessings on the young couple. Your children are lovely Rosie – she actually looks as if she could have been your daughter!